The "marketing funnel" concept has been around for over 100 years. It's about the journey a typical customer takes to buy a product or service. The funnel shape represents the number of people at each stage of the journey. Lots of people to reach out to at the top, and their numbers naturally dwindle as some people continue toward a purchase. The customer becomes aware of your business - maybe from an ad, social media, a Google search or a sign in a window. The customer decides your business is honorable - maybe because her friend referred you, she likes your Facebook posts, your ad was funny, your website is helpful. Now she thinks she might want your product - it looks really interesting, she likes your intro video, she read some great reviews, she tried it out at a demo. She buys it - and she likes it. She really, really likes it. She goes back to buy more, she buys your other products, she blogs about you, she re-tweets you, she posts nice things on Yelp, she recommends you to her neighbor. The marketing funnel is your guide to getting the right message, to the right people, at the right time...and that IS marketing. When we figure out how to reach and engage people at each stage of their journey, it's like we're taking them by the hand and walking them right through. Customer relationship management (CRM) is based on the marketing funnel. 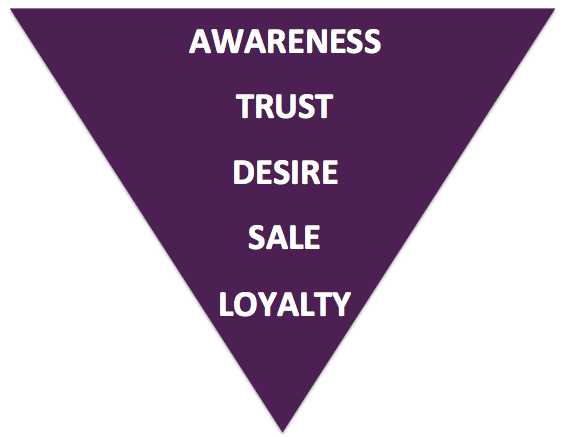 Just think about each of your marketing efforts in terms of what part of the funnel they are supporting. 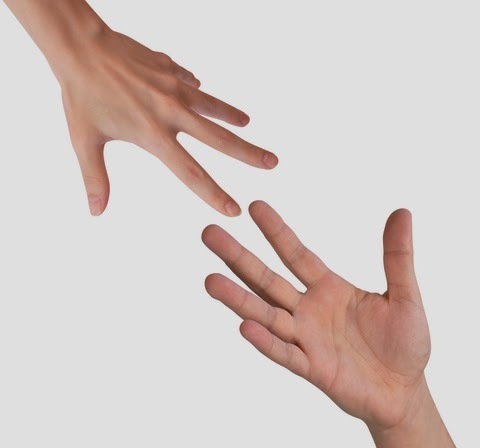 If you see gaps along the way, you'll know where to focus new efforts to make sure you don't let go of your customer's hand and leave her lingering.